When Savannah Jordan agrees to help her aunt while she recovers from a broken foot, she doesn’t expect to walk into a mystery, become part of a not-quite-legal surveillance team, be kidnapped by a deranged stranger and meet a steaming hot veterinarian. Beloved neighborhood cats are missing—the community can only guess at their fate—and Aunt Margaret’s life is being threatened. Is it because she has a clue to the missing cats or is it something more sinister? 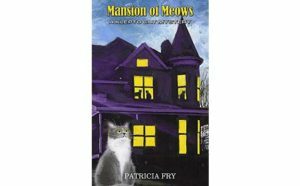 Savannah Ivey, a veterinarian out on maternity leave; her aunt Margaret, the founder of the Hammond Cat Alliance; and Colbi Stanton, a reporter for the local newspaper take on a cat colony at an old, abandoned building. Odd activity around the place makes them wonder if it actually is vacant; some believe it’s occupied by something other-worldly. 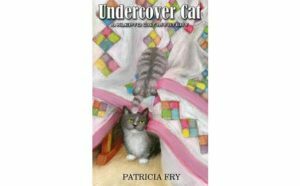 Rags, the kleptomaniac cat, opens up a whole new bag of tricks, when he becomes a therapy cat in a children’s reading program. 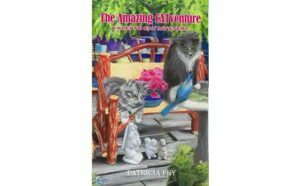 A documentary film crew arrives to capture the cat in action and they get more than they bargained for. Find out how Rags handles his sudden celebrity status. 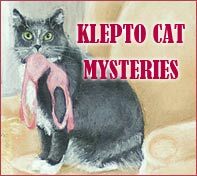 Savannah Ivey’s horse goes missing and Rags, the klepto cat, goes into mourning. Savannah and her friends spend days on horseback searching for Peaches over miles of dense wilderness. Along with a few dead-end clues, they stumble upon Elsie, a most unusual elderly woman living under dangerously primitive conditions. 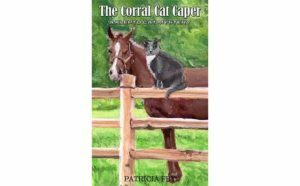 Elsie harbors secrets-some of which may lead to the recovery of Savannah’s horse, but only after Rags puts his claws into the matter and Detective Craig Sledge gets involved. An old friend of Michael’s, who has become a successful artist, invites the entire Ivey family to his beach house. But their vacation is not all fun-and-games. It appears that someone is out to get the artist; and the Iveys and their friends keep stumbling upon clues to the tangled mystery. When Michael and Savannah invite young burn victim and heir Arthur Spence into their home, they don’t expect danger to follow. The sensationalism around his family’s dark secrets have the paparazzi in a photo-snapping frenzy and the young man isn’t yet equipped to deal with their shenanigans. Are they issuing the unnerving threats to Arthur’s life, or is it a beloved family member? The Ivey family travel to San Francisco to help Arthur and his long-time friend, Suzette, clean out the mansion. News of the massive estate sale lures a variety of people, including former residents and long-ago visitors, each carrying stories of bizarre activities occurring there in the past. When the Iveys and the Sheridans find a deathbed confession letter, Savannah and her Aunt Margaret spring into action. Is Savannah’s imagination playing tricks on her or has she stumbled upon the unaware kidnap victim mentioned in the letter? 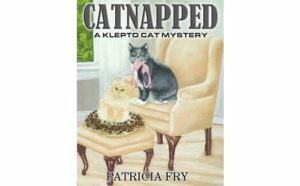 In the meantime, there’s trouble at the Sheridans’ cat shelter and Rags, the kleptomaniac cat, leaps right into the middle of the tangled mess. Just when Michael and Savannah Ivey think their tropical vacation is over, a stranger arrives from the islands with demands they cannot fulfill. Imminent danger follows as a frantic search for the mysterious missing item ensues. Savannah is drawn into a friend’s dilemma when Colbi’s long-lost brother returns—an event that becomes personal for Savannah. A girls’ fun getaway weekend quickly becomes something that would rival any Fright Night flick. The women run into the infamous mountain monster, they’re visited by an escaped kidnap victim, and they’re privy to rumors of a deranged serial killer who may live secretly in their cabin. Strange things are happening in Savannah and Michael Iveys’ neighborhood. Items are going missing; some of them mysteriously reappearing. 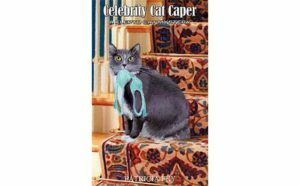 Rags, the klepto cat, is caught pilfering some of the small stuff, but who or what is carrying off the larger objects and why? Is the horse involved or do the new kids on the block have sticky fingers? Perhaps Rags’s new feline friend, the golden girl, is a mystical being. 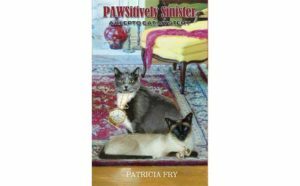 In the meantime, when Michael volunteers in an out of state animal abuse case, Savannah invites her sister and mother to spend the week at the Ivey home and the women soon find themselves hostages of angry jewel thieves. A cousin Savannah hasn’t seen since they were children arrives with her family and a pleasant outing becomes a close call for Savannah and her baby, Lily. A mysterious young man courageously thwarts tragedy that day, then runs off before he can be identified. It takes a child to solve the neighborhood thievery and to reveal the identity of the true hero in this story. You’ll delight at the feel-good ending to this light mystery. Savannah and Michael Ivey happily agree that they’ll enjoy a rare quiet and relaxing summer. Little did they know, however, that their pact would soon be broken, as another mystery was unfolding at that very moment—one that would shock the entire community, cause a major disturbance in their quiet neighborhood, and, of course, involve their venturesome cat. Ever wonder what it would be like to put a GoPro on your cat? 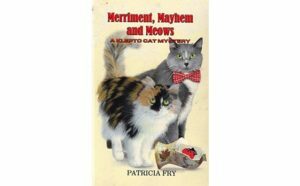 Follow along as Rags and Dolly launch out on the cat-venture of their lives with some startling consequences and amazing discoveries. And most of the action is caught on camera. Iris continues her refurbishing work at the grand old Kaiser home, but things aren’t going smoothly. Is she being stalked or is she simply spooked by what she hears at night kicking around in the attic? She certainly didn’t expect to hire gravediggers, nor did she anticipate the discovery of a large fortune amidst the chaos and mayhem at the old mobster hangout. Of course, Rags, the klepto cat, is on duty. He helps to reveal some decades-old family secrets and he finds a murderer’s calling card in the most unexpected place. Iris finishes renovating the Kaiser Bed-And-Breakfast, but the inn’s not complete until Rags chooses a charming array of cuddle cats for overnight guests to enjoy. Before the official opening, however, Iris loses her business partner to unusual circumstances and she calls on friends to help her run the place. That’s when pandemonium shatters the calm. The Ivey family and friends agree to serve the hungry during the holidays, but not without serious consequences that require a little feline and equine intervention. Detective Craig goes missing, Rags is accused of grand theft and malicious mischief, Savannah is harassed and nearly arrested, Michael has a surprise reunion to beat all reunions, and Peaches facilitates a Christmas miracle. A rollercoaster ride of kitty-cat escapades. Rags accompanies his human family and friends on an extended vacation and manages to find plenty of trouble along the way. But, in typical Rags fashion, he also discovers ways to help in the most unexpected manner. Follow Rags on his first book-signing tour. Get ready for his first cross-country flight. 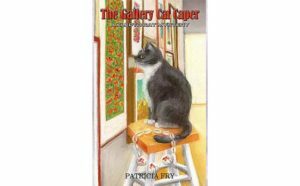 Tag along with this most unpredictable cat as he meets new people and manages to touch their lives as only Rags can do. Rags goes a paw beyond in solving this mystery. Savannah and Margaret take on a large cat colony at an abandoned seminary. 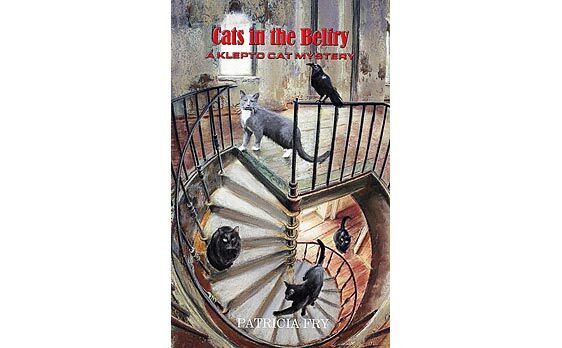 With Rags’s help, they find more than cats in the belfry. Is it real or simply illusion? No one knows for sure, even after Rags is attacked by something from above, a body is discovered, and Rags and Savannah are held captive. Will an evening in the bell tower shed some light on the chilling mystery? When Savannah receives a ransom note, she teams up with Detective Craig Sledge to discover who’s holding her sister, Brianna. 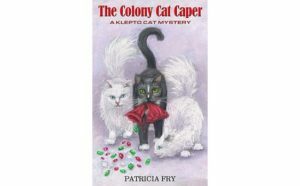 But Rags, the Klepto Cat, becomes the catalyst in finding her. You’ll delight at his covert strategy and intricate undercover work, as he misbehaves his way to another successful outcome. Rags ups his game when he discovers clues to a seventy-year-old crime. 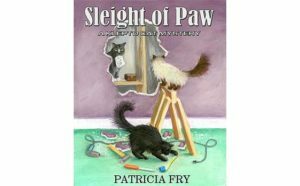 Rags leads his family to a missing cat and, despite serious challenges, saves her from certain death. A friendship develops and Rags drags Lucy-kitty into the discovery of the century. Everyone’s on edge when threats appear from out of nowhere and they’re baffled by the appearance of exquisite vintage jewelry. When Savannah and her sister-in-law, Holly, can’t leave well enough alone, they, along with Rags and Lucy, become tangled in a web of mystery and suspense. But there are more questions than answers as the case and the clues seem to follow the Iveys back to California. Who blew up the Airbnb the Iveys had rented in Colorado? Who took the stash of exquisite jewelry from the obvious hiding place? Is the man Savannah suspects behind the blatant crimes or is it someone she is yet to meet? This story will entertain, amuse, and tantalize you. Rags claws his way into more mischief . 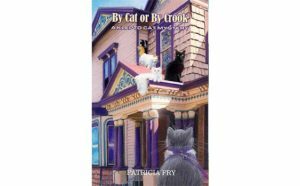 Savannah and her unpredictable klepto cat, Rags, help the detective in his search for valuable antique jewelry. Who took it, who has it, who does it actually belong to? Follow Rags and his humans as they uncover long-held secrets in some of the most unexpected places and meet the people who harbor them. As the mystery unfolds, Rags continues to lead the charge to some startling discoveries and toward a most unexpected conclusion. 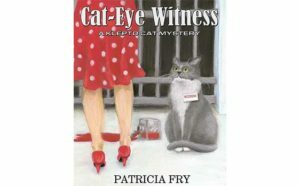 This is the life story of Rags, the amazing, precocious cat who stars in the Klepto Cat Mystery series. Read about his precarious kittenhood. Marvel at some of his intriguing and touching teenage escapades. And delight in revisiting many of his more recent adventures. Rags is a cat with a purpose. While some people believe it’s to cause chaos, others see this feline as a knight in furry armor. If we could get into Rags’s head, however, we’d probably see that it’s filled with butterflies and trinkets. Yes, he marches along in life to the beat of a different drummer and leaves behind an assortment of reactions. Is Rags clever or naïve, intuitive or fluky, smart or lucky? And does it really matter? One thing’s for sure, he makes an impression wherever he goes and that’s just the way his fans like it. Rags answers the call to action with paw-some results. Family and friends are stunned when Savannah and Rochelle disappear without a trace. Is this a random abduction or an act of revenge? While everyone scrambles to find answers, Rags stumbles upon possible clues to their whereabouts and he leads the charge to find them. At the same time, Iris searches for answers to an ancient curse that has disrupted the peace in their new home. What odd omen was left there and why are strangers threatening to bulldoze their property? Can Rags help untangle this eerie mystery and bring harmony to the neighborhood? Rags brings his big purrsonality to help solve this puzzling mystery. Things aren’t what they seem when Savannah expresses an interest in an old abandoned house, Iris believes there’s a spirit being living in her new home, and the two of them become involved in a forty-five-year-old missing person case. This haunting story will take you on a roller coaster ride of emotions. Prepare for thrills, hilarity, suspense, and stirring moments. Of course Rags is the catalyst that pulls the pieces to a difficult puzzle together when he leaves his mark on the villain and helps to reconcile a painful past for two lovers. 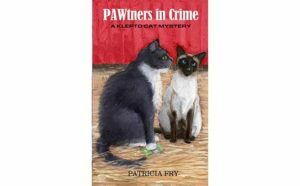 The klepto cat digs up a new kind of trouble.Rags enjoys a summer beach vacation with family and friends, but it isn’t all sunshine and gentle breezes. 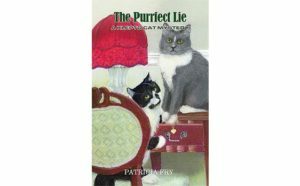 The wily cat makes a shocking discovery that puts Savannah’s freedom in jeopardy and puts Detective Craig on high alert. Will the detective be able to unravel the mystery that Rags has dug up in time to save Savannah? Can Rags help her out of this mess? The Ivey and Pettit families look forward to spending their last vacation days together relaxing at a mountain cabin, but Rags has other ideas. It doesn’t take him long to change the flow of events and everyone’s plans. Rags unveils a secret and immediately involves his humans in a whirlwind of intrigue. 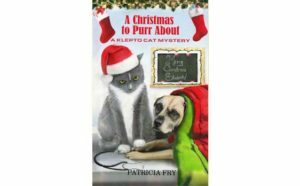 While everyone looks forward to an exciting program at the church among the pines where certain mysteries will be explained, the unruly cat goes missing. He puts Savannah and Detective Craig in danger, he causes a near forest fire, but it’s because of Rags that the show goes on and the mischievous cat becomes the star. However, before he can be celebrated, he is taken and held for ransom. What happens next stuns the entire community. 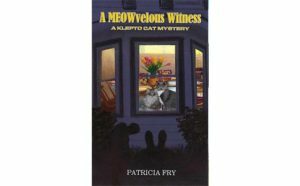 Will Rags live to appear in another Klepto Cat Mystery?